Just in time for Christmas we are happy to announce three new releases: Mirroring Effects. 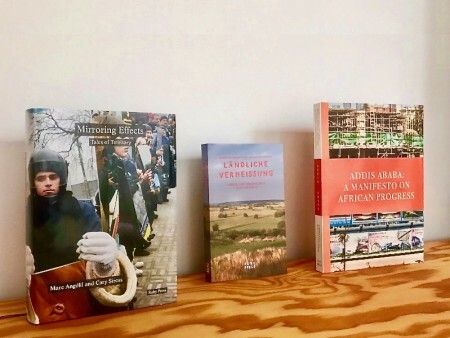 Tales of Territory by Marc Angélil and Cary Siress, Ländliche Verheissung by Mathias Burke, Eleonore Harmel, Leon Jank, and Sabeth Kerkhoff, and Addis Ababa. 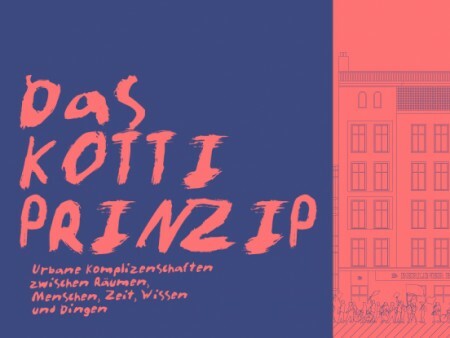 A Manifesto on African Progress by Dirk E. Hebel, Felix Heisel, Marta H. Wisniewska, Sophie Nash. 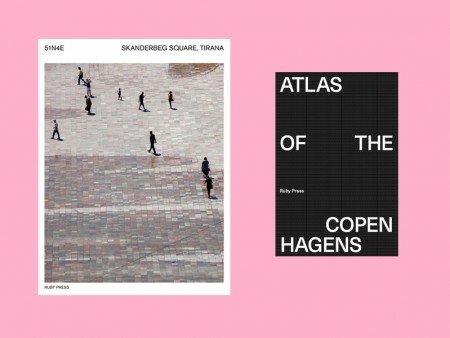 Our publication 51N4E Skanderbeg Square Tirana won the International DAM Architecture Book Award 2018 and The Atlas of the Copenhagens got shortlisted. 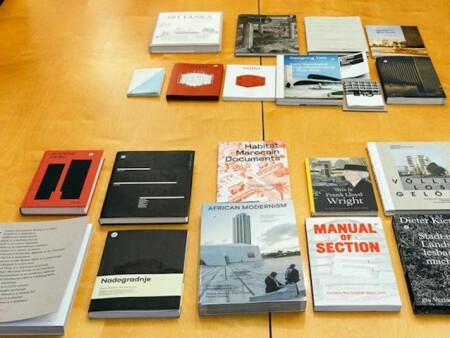 The prize, that was awarded the 10th time, honors the best architectural books in a year based on criteria such as design, content, quality of material and finishing, innovation, and topicality. 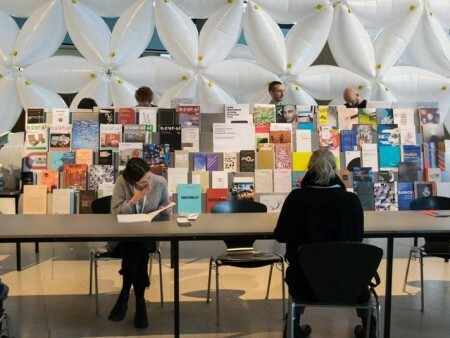 This year there were 238 entries from 96 architectural and art book publishers from all over the world out of which ten books got awarded and another ten got shortlisted. 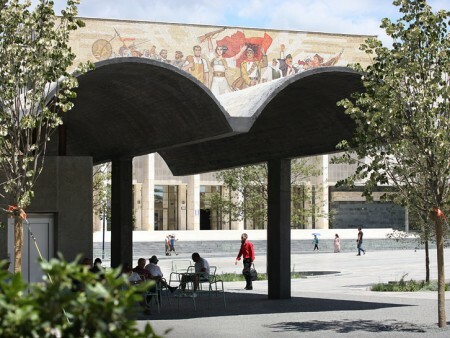 Skanderbeg Square in Tirana, Albania, has won the European Prize for Urban Public Space, a biennial competition honoring projects that create, recover, and improve plazas and squares in European cities. The project was selected from among 279 candidates in 32 countries. 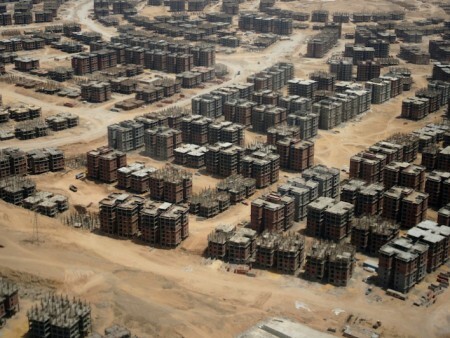 We are happy to publish the second book on housing in and around Africa's biggest cities Cairo. 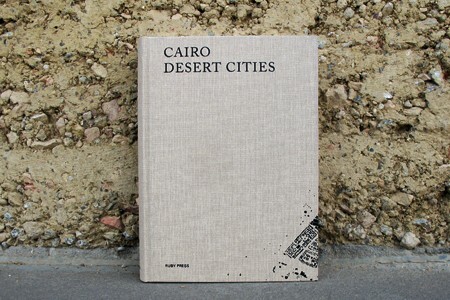 With Cairo Desert Cities the editors of the award winning publication Housing Cairo, Marc Angélil and Charlotte Malterre Barthes, in collaboration with Something Fantastic and Cluster, this time focus on the new towns, that were developed in the desert around Cairo since the 1950s, many of them never completed. 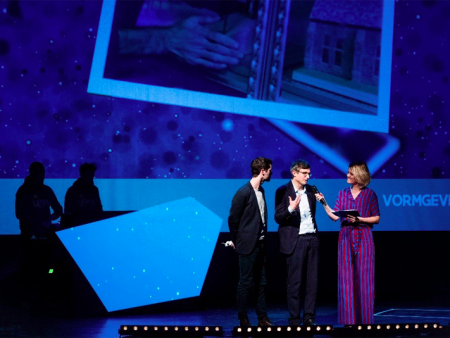 We are happy that the authors of our first "Architecture Monogram" issue, Pieterjan Gijs and Arnout Vaerenbergh, founder of Gijs Van Vaerenbergh, were awarded the Flemish Culture Prize in the category Architecture/Design. Congrats! Our Realities: United Featuring book was featured in the Temporary Library on digital culture during the transmediale festival in Berlin as one of 200 selected publications. 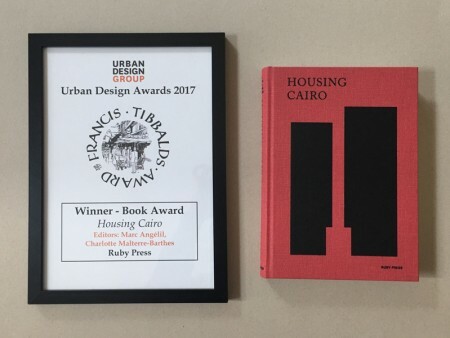 We’re delighted to follow up our previous post to announce that the National Urban Design Awards 2017 took place in central London on March 2 where it was announced that the winner of Book Award category was Ruby Press for Housing Cairo: The Informal Response. 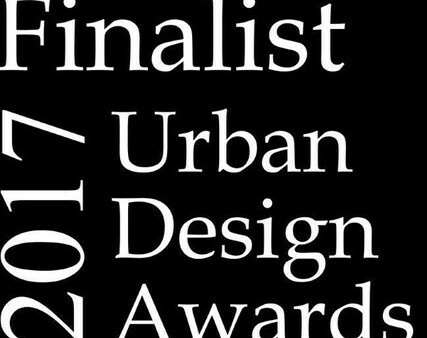 We are very happy to announce that Housing Cairo: The Informal Response by Marc Angélil and Charlotte Malterre-Barthes in collaboration with Something Fantastic and CLUSTER has been shortlisted for the Book Award at the 2017 National Urban Design Awards. Another big box arrived at our office, inside: Giraffes, Telegraphs, and Hero of Alexandria – Urban Design by Narration , edited by Sabine Müller and Andreas Quednau from Berlin office SMAQ. 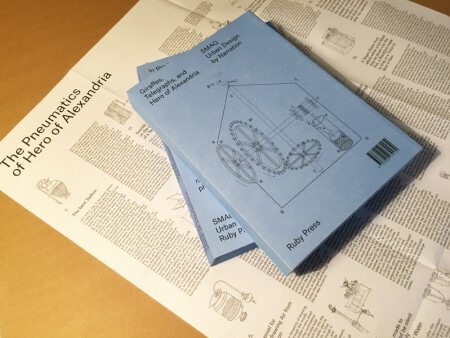 With a poster showing a selection of the beautiful playful pneumatic inventions of Hero of Alexandria, Greek mathematician and engineer born in 10AD. 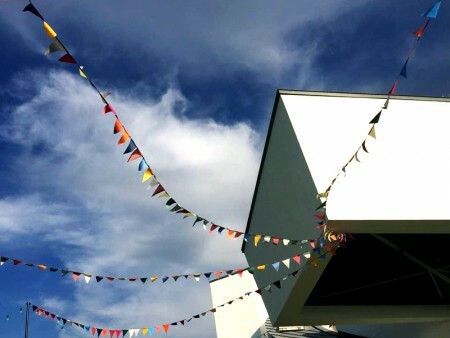 The third volume of the series revisits the ideas of the Polish architect Oskar Hansen (1922-2005) on “open forms,” or architectural forms that allow for completion through the user. 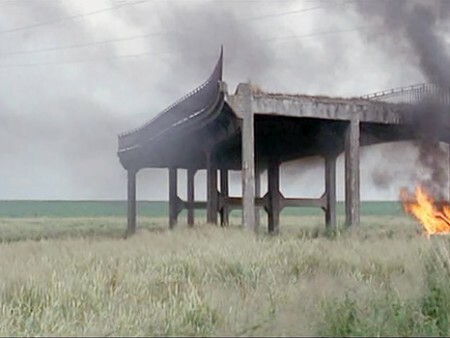 Editors Rainer Hehl and Ludwig Engel this time look at Japan and ask what lessons the performative dimension of architecture prevalent in traditional and contemporary japanese architecture have for the modern Western architect? 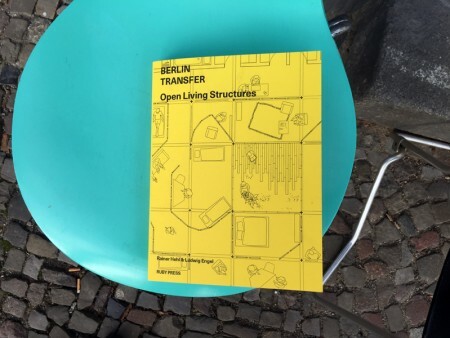 Check out Open Living Structures at our web shop. This year is a good one for Ruby Press. First our Architecture Reading Aid Ahmedabad was awarded one of the most beautiful books in Germany by the Stiftung Buchkunst, and now Housing Cairo: The Informal Response, has been selected as one of ten books to receive the Architectural Book Award 2016. Early this year Ruby Press published Housing Cairo: The Informal Response by Marc Angélil and Charlotte Malterre- Barthes in collaboration with Something Fantastic and CLUSTER, which explores the architecture of informality in the Egyptian capital. 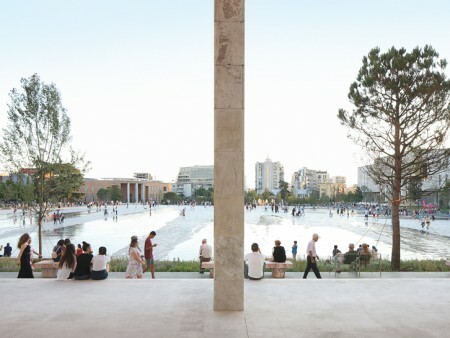 Since it was published, research from the book has been shown at Arc En Rêve-Centre d’Architecture in Bordeaux and the Venice Architecture Biennale. 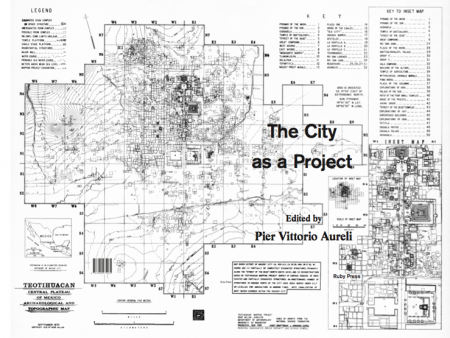 Now seems a fitting time then to reflect upon Housing Cairo and its investigations and world-architects.com have just published a review of the book. 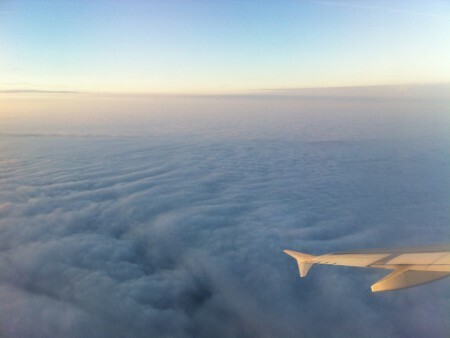 Sep 8th 2016, Frankfurt Main. 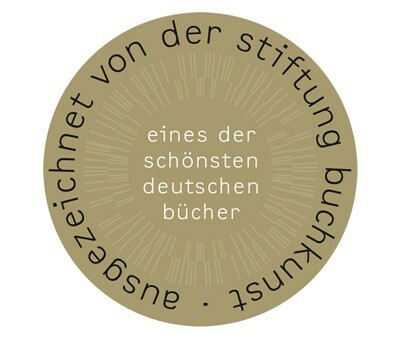 RUBY PRESS were at Die Schönesten Deutschen Bücher (Most Beautiful German Book) awards 2016, having been nominated for our Architecture Reading Aid Ahmedabad. 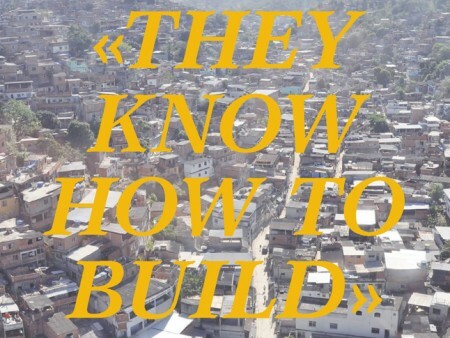 Has watching the Olympics made you curious about Brazil and its architecture? 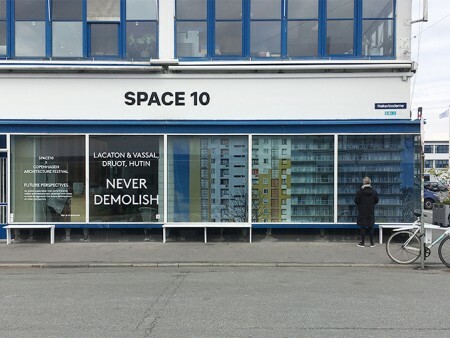 Then be sure to check out the interview with longtime Ruby Press collaborators Marc Angélil and Rainer Hehl in the newest issue of the Swiss architecture magazine MODULØR. 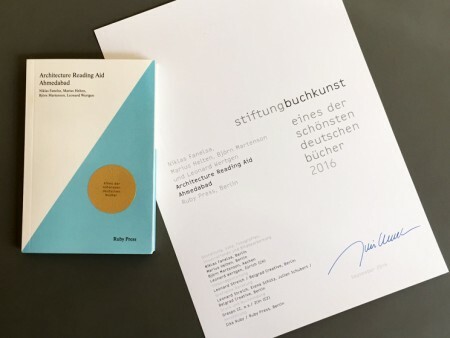 We are very happy and proud that our architecture and city guide Architecture Reading Aid Ahmedabad was selected as one of the “Most Beautiful Books of Germany” by the Stiftung Buchkunst (foundation for book art). 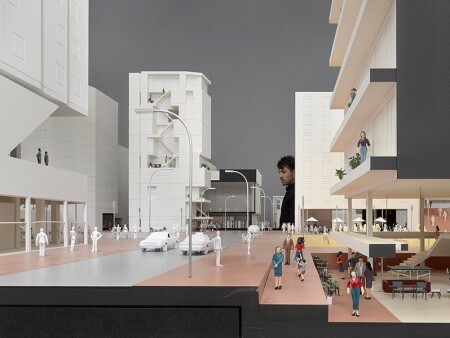 Two reviews of our Architecture Reading Aid Ahmedabad, one published in the Indian newspaper Mid-Day by Dhara Vora, another by Luise Rellensmann in the german baunetzwoche.